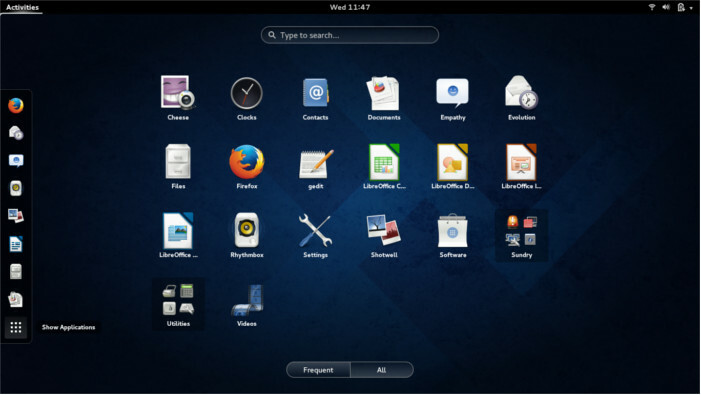 Fedora Project released Fedora 20, codenamed Heisenbug with Gnome 3.10 and KDE 4.11 Plasma workspace. Fedora 20 comes with more clear installer anaconda. The programme is getting better on every release. Fedora 20 comes with spins for GNOME, KDE, Xfce, LXDE and MATE. Fedora 20 includes ARM as a primary architecture and the brand new gnome software center like ubuntu software center. Fedora 20 removes sendmail and rsyslog from the distro. Here is a quick set of things to do after instaiing fedora 20 which will help to setup a perfect desktop with fedora. All commands need a root access. So before execute use su – and password to get root on terminal. mirrors.fedoraproject.org will provide to download Fedora 20 from almost all country. Or you can just direct Download from official website. Torrents are also available for Fedora 20. Now you can burn the iso into a DVD or can create an install disk using a USB drive. Things to do after installing fedora 20 for a perfect desktop. A very first thing after installing fedora 20 is just update the system to the latest packages. This will fix the bugs in various packages which found after the packing of the release software. Latest Kernels, Latest Firefox, Gnome Shell updates and various OS updates are included in this. This will be a large download than installing individual packages. Some tweak tools are essential to get Fedora 20 full fledged. They are listed below. The default fedora 20 using Gnome 3.10 as the default DE. To tweak various aspects of gnome the Gnome Tweak Tool is very essential software. To get fastest download speeds we can tell yum to connect to the fastest mirror and download from that. Also It is better to configure yum to keep the downloaded files on cache. So that we can reuse those rpms or can share these rpms to other people or run a local repo for updating a systems in a local network. and save the file that is all. After installing Yumex just open it and search for your desired software and put tick mark on that and apply. It will install will all dependencies automatically. Fedora Utils – One stop solution for all Additional Softwares. Fedora Utils is a handy tool to install codecs and additional software that not comes with Fedora , like Gstreamer plugins, MP3 codecs, Adobe Flash, Oracle Java, Google chrome etc. It can also fix problems, tweak and cleanup Fedora, show system information and much more with just few clicks. There are other tools like this called easylife. But this one is more easy and feature rich tool for manage the system with all essential softwares. su -c "curl http://satya164.github.io/fedorautils/fedorautils-installer -o fedorautils-installer && chmod +x fedorautils-installer && ./fedorautils-installer"
What you can do with fedora utils is here. These are the command line commands with fedora utils. But there is a nice GUI for selecting each action. These are the things fedorautils can do with your fedora. There is a nice gui created with zenity. RPM Fusion Repository provides variety of applications which are not shipped with Fedora 20. Like mp3 codec, multimedia player for playing DVDs and many more. Some packages require you to install Livna Repo. Run he following commands to add and enable livna repo on your system. lsdvd is the main software which require Livna Repo. These tasks can be done through fedorautils. The default Gnome 3.10 shell theme and appearance is improved a way better from the initial setup but some small tweaks will improve the usability further more. A set of gnome shell extensions are there to get a better Desktop. To install gnome shell extensions just open firefox and go to https://extensions.gnome.org/ then change the switch to ON. Applications Menu- Add a category-based menu for applications. Dash to Dock-A dock for the Gnome Shell. Recreate a Dock from the overlay mode to desktop mode. It helps easier launching of applications and a faster switching between windows and desktops. Places Status Indicator – Add a menu for quickly navigating places in the system. Recent Items – Adds an icon for recently used items at the top panel; clear list by click. User Themes – Load shell themes from user directory. Essential for enabling custom themes for gnome shell. Workspace Indicator – Put an indicator on the panel signaling in which workspace you are. Also provide dropdown menu for switching desktops. Media player indicator – Control MPRIS2 capable media players: Rhythmbox, Banshee, Clementine and more. There are Much more extensions to choose for various tasks like TaskBar, Advanced Volume Mixer, WindowOverlay Icons etc. There are lot of themes available for Fedora 20. Also there are lot of exiciting icon sets for Fedora 20. The popular are Faience, Elementary, Numix, Gnome colors etc..
Change Icons and themes using Gnome Tweak Tool. Some nice fonts are available for fedora. Droid Sans is one of them from google. Install Droid Sans use. These are some essential utility needed in every linux distro. Cabextract is used to extract cab files. Cups pdf will create a pdf printer for fedora. Dconf Editor is the editor used to edit the configuration settings in the system. Nano is a small command line text editor. p7Zip is the zip extractor. Unrar is used to extract rar files. Internet Browsers like google chrome, Midori, Epiphany etc. Google chrome is another essential tool for web browsing. To Install it just use the commands given below. The Updated version of flash player is not available for firefox now. But this version is capable of playing youtube videos etc. FileZilla is the most popular ftp client for web world. It is cross platform and works very nice and feature rich. FileZilla is a FTP, FTPS and SFTP client for Linux with a lot of features. Xnoise is a media player for GTK+ with an intuitive user interface, great speed and lots of features. Xnoise allows listening to music and playing video in a very intuitive way: You can easily search the library and drag each artist, album or title to the tracklist (to any position in any order). Transmission is a free, lightweight BitTorrent client. It features a simple, intuitive interface on top on an efficient, cross-platform back-end. It can also be used as a download manager in Fedora 20. Deluge is a lightweight, Free Software, cross-platform BitTorrent client. It is a full fledged torrent client other than transmission. Inkscape is the best vector editor application in free software. Good for creating svg files. An essential tool for all libre designers and graphics developers. Fedora 20 supports almost all programming lanugages out of the box. Python, Java, Ruby, Nodejs, PHP, C, GTK and much more are also supported. Some Handy IDEs are available in Fedora. Eclipse IDE provides a universal toolset for development. Open Source IDE, mostly provided in Java, but the development language is independent and lot of plugins and extensions are aviable. Used for Android Development, Java Developement, PHP, Python, Ruby, Nodejs and more. It is a one stop solution for all kind of Programming. Also it is platform independent. Bluefish is a light weight powerful editor for experienced web designers and programmers. Bluefish supports many programming and markup languages, but it focuses on editing dynamic and interactive websites. Komodo Edit is the free IDE provided from Active State. It is a free version of Komodo IDE. It uses the same code base of firefox. Also firefox extensions system is also supported. Fast and feature rich for various programming Languages. There are lot of other applications for various purposes like simple scan, xsane, scantailor, vim, gnochm, gtkpod etc. You can find a tool for every applicaiton in fedora. Just open Yumex and search the purpose or tool you will get a software for that. For install the complete software packages a good internet connection is advisable. After install all the softwares you will get a stable desktop for all development environments . Also virus/ Spam free internet browsing is a big advantage. Taste Fedora ………… Have Fun ……….!!!!!!! !